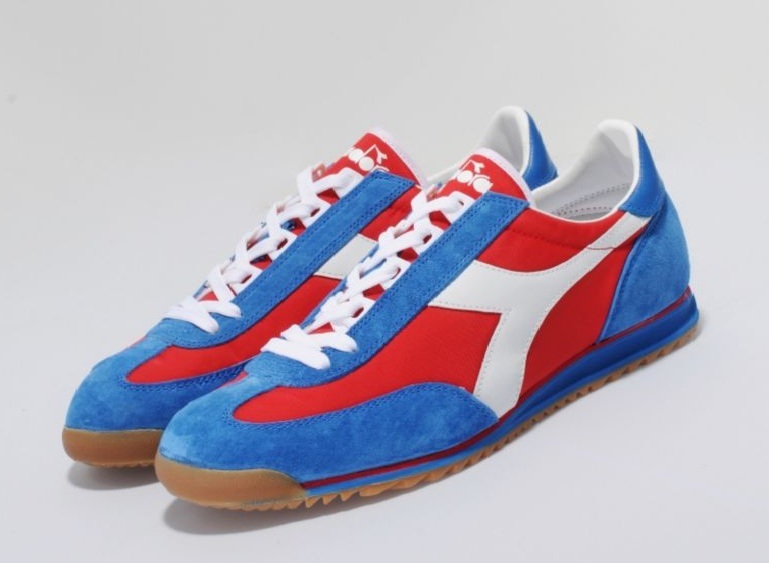 Established within the foothills of northern Italy in 1948, Diadora originally produced mountaineering/hiking boots and equipment and then soon started to focus more on premium performance-based and trend-led footwear. This Cross is inspired by the brands technical excellence and classic Italian styling, and is presented with a mixed upper consisting of premium navy blue suede and contrasting red breathable nylon weave, with white leather branding on the sides. It also features a low-profiled, two layered sole with red stripe detailing, a Ghilly lacing system and premium leather and textile lined inner with a thin tongue. They also come with a drawstring trainer bag.